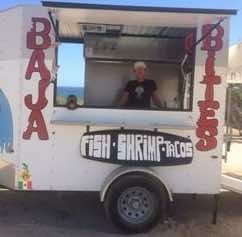 Located across from OXXO, Baja bites proudly serving the best seafood tacos a la plancha in town. We specialize in fresh fish, shrimp, smoked marlin, and tuna. We are open 12-5pm daily. Closed Sunday & Monday. We can bring the tacos to any of your gatherings.